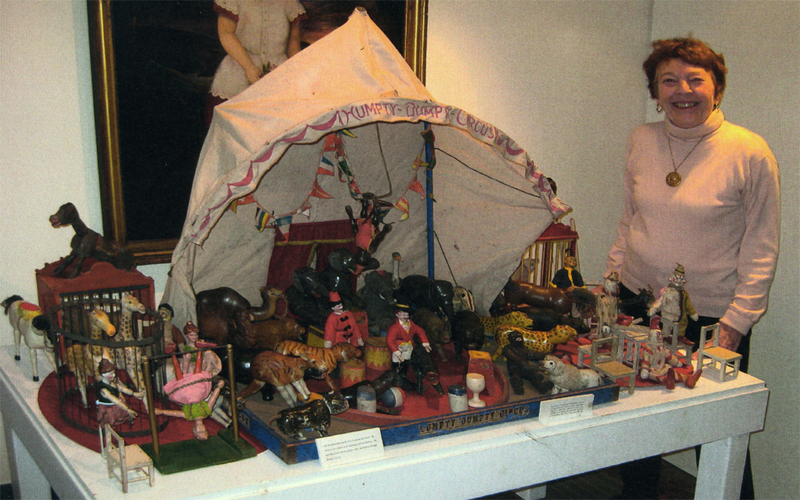 Mary Lou Logan has been collecting the Humpty Dumpty circus for many years. This is her fine collection on display at the Wilton, CT Historical Society. Mary Lou is a member of the Schoenhut Collectors Club.